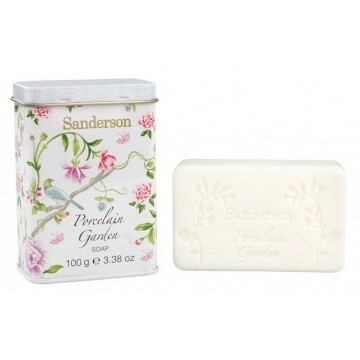 A moisturising milled soap presented in an individual travel tin decorated with the lyrical Porcelain Garden design, creates the perfect, elegant travel companion accessory! Enriched with shea butter & glycerine. Inspired by early 19th century hand-painted Chinese wallpaper, Porcelain Garden depicts peony blossoms and birds painted in soft watercolors. Delicately fragranced with the rain kissed floral scent of Apple Blossom, Jasmine & Muguet. This product/option combination is out of stock.